Count Dracula’s castle is a hellish world where night is day, pleasure is pain and the blood of the innocent prized above all. Young Jonathan Harker approaches the gloomy gates with no idea what he is about to face. And back in England eerie incidents are unfolding as strange puncture marks appear on a young woman’s neck. But can Harker’s fiancee be saved? And where is the evil Dracula? Bram Stoker was born in Dublin’s Marino Crescent on November 8th, 1847. Throughout his early childhood he suffered from a mystery illness which left him bedridden – he was, we are told, bled repeatedly in an effort to relieve his condition – he later wrote that he was at the time ‘naturally thoughtful, and the leisure of long illness gave opportunity for many thoughts which were fruitful according to their kind in later years’. Around 1854, Bram overcame his illness and went on to lead a healthy adult life, excelling as an athlete whilst attending Trinity College Dublin. He graduated from Trinity in 1868 with a Masters Degree in mathematics and took up employment as a civil servant, working in Dublin Castle, where his experiences led him to write his first book The Duties of Clerks of Petty Sessions in Ireland a handbook of legal administration, published in 1878 – a work very far removed from his later literary output. He was, at the same time, a freelance journalist and theatre critic. As a student, Stoker had attended a performance of The Rivals by Richard Brinsley Sheridan at the Theatre Royal starring Henry Irving – and was deeply impressed by the great actor. He subsequently met Irving and in 1878, soon after his marriage to Florence Balcombe (who had spurned Oscar Wilde in his favour), Stoker left Dublin to become Irving’s theatrical agent and business manager in London. He afterwards became manager of Irving’s Lyceum Theatre, a position he held until Irving’s death in 1905. In 1890, continuing the tradition of gothic fiction already established in Dublin by writers such as Charles Maturin and Sheridan le Fanu, Stoker began to write the definitive vampire novel, Dracula, a task that was not completed until 1897, when it began a run of publication unbroken to this day. 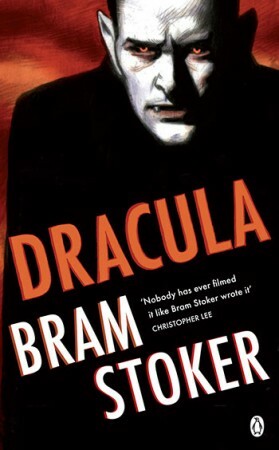 Bram Stoker produced many other writings with a supernatural theme, but none were to be as memorable as Dracula one of the enduring classics of world literature.